Our company do not employ sales representatives or collaborate with overseas property and business agents, this only adds further expense and ultimately inflates the selling price to potential buyers. Look at and compare our prices on any Commercial Website or Property Portal, we just refuse to be beaten when it comes to offering or negotiating the lowest price possible for our valued clients. 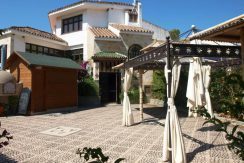 Bar in the Sun would with pleasure invite you on a tour around some of the Businesses on the Costa del Sol in Spain that they have recently sold, this introduction would allow our new clients an unbiased opportunity to freely talk with other business owners about their experience in the purchase procedure and services we have provided to them. It also gives an invaluable insight to how our previous clients are now running their businesses and enjoying their new life here on the Costa Del Sol in Spain. Bar in the Sun offer their clients a complete legal and professional service with independent English speaking lawyers and accountants that will ensure the purchase of your business is in accordance with the Spanish commercial laws and latest regulations, please remember whether before or after the successful purchase of your business our unrivalled customer sales service is available to you always. 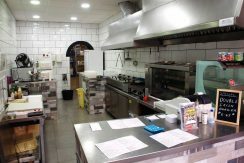 Our motto is “BUY YOUR NEW BAR OR BUSINESS IN SPAIN WITH TOTAL CONFIDENCE”, and we invite you to join us. Bar in the Sun are dedicated to ensuring that our clients can view the largest choice of businesses in the best areas at the lowest prices on the market. 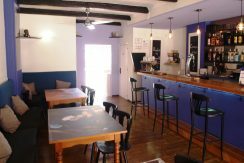 Our company has a large varied selection of many types of businesses and bars for sale in Spain starting from as low €2,950. 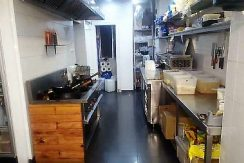 The team at Bar in the Sun are different in one very important aspect which is the fact we have all previously and personally owned and run bars on the Costa Del Sol. The team at bar in the sun have over 90 years combined experience in all workings of the real estate sector on the Costa del Sol. The advice we offer all our clients is from personal hands on experience and knowledge. 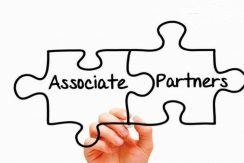 No other Commercial Agents can honestly claim to have more in depth knowledge in the transfer of businesses or the purchase of a property in Spain. Bar in the Sun are here to ensure that our clients are professionally guided from the start of buying a business or property in Spain to the final completion and purchase. What other companies offer, promise or guarantee their clients, our clients enjoy and receive as normal working practise. The Costa del Sol in southern Spain is a fantastic place to live or own a business. The most important things are making the right choice of business or property and also deciding the preferred area in which you wish to live. Here at Bar in the Sun we are dedicated to helping our clients in making these major decisions correctly by offering a totally unbiased and honest appraisal of every business and every location. Start your new life in Spain by visiting us at our office in Fuengirola where we will assist you in every way possible to ensure the perfect start and the right choice. 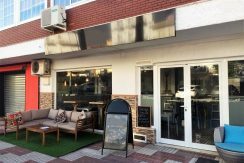 If you are reading this section of the Bar in the Sun website we hope you have taken the time and enjoyed looking through our varied selection of bars for sale in Spain and businesses for sale on the Costa del Sol. 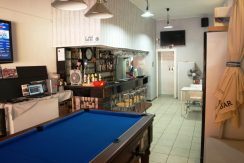 If your have any questions about buying a bar in Spain or any type of Business on the Costa del sol then please do not hesitate to call us or e-mail us where our friendly experienced team will be more than happy to help or answer your query, for our clients convenience you can now also call us direct from the UK on our cheap local call rate which can be found at the top of the homepage, WhatsApp us or use our new live chat facility while browsing the website, we are here now and waiting to hear from you. Spain is a large country totalling over 1/2 million square kilometers in area. Spain is located in the Southwest corner of Europe sharing borders with Portugal, Andorra, France, Gibraltar and Morocco. Spain has a population of just over 40 million people and is a predominantly Catholic state. Visit the CIA World factbook on Spain for more detailed information about Spain and the Spanish people. As most people are aware, Spain is a major holiday destination that enjoys visitors from all over the world. The famous Costa del Sol runs along the bottom part of Spain. The Costa del Sol coastline is where some of the most popular holiday resorts and coastal towns are located, such as Torremolinos, Benalmadena, Fuengirola, Marbella and Puerto Banus to name a few. The Costa del Sol region stretches from Gibraltar in the west to Nerja in the East. For the millions of yearly visitors the all year sunny climate is one of the main reasons international visitors choose to vacation here on a regular basis. However there are many other reasons to not just holiday in Spain but for the lucky to also make their new life here permanently. The thought of buying a business in Spain or a new home in the sun is a dream for many people and quite rightly so. What could be more enjoyable than running your own bar in the sun and enjoying a totally different lifestyle far away from the hustle and bustle and cold climate we became accustomed to. 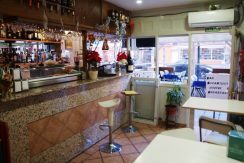 Owning a bar in Spain theoretically is not that difficult as long as the proper legal procedure is adhered to which is why our professional experience and expert guidance will be of major importance and help to our clients. 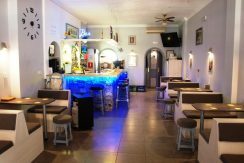 Bar in the Sun pride themselves on making sure that their clients have access to the largest up to date selection of bars for sale on the Costa del Sol in Spain and businesses for sale on the Costa del Sol in Spain. 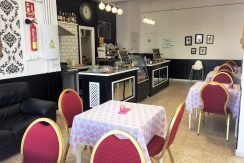 Take a browse through our latest listings of businesses and help to get yourself moving in the right direction. With such a varied choice of drinks bars for sale in Spain, lounge bars for sale in Spain, music bars for sale in Spain, karaoke bars for sale in Spain, café bars for sale in Spain, bar restaurants for sale in Spain, snack bars for sale in Spain plus a large selection of various other businesses for sale in Spain the choice is yours, still interested then click here. You will be taken to our search page where you can choose exactly what type of bar for sale on the Costa del Sol or business for sale on the Costa del Sol you are interested in, on the search page you can then also choose which area on the Costa del Sol you prefer to have your bar or business and the price range that suits your budget, what could be easier, search now and start living the dream. Congratulations to you if you have now decided that buying a bar in Spain or a business in Spain or a property in Spain is what you want to do. 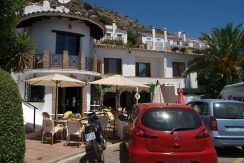 To help our clients accustom themselves to the Fabulous Costa del Sol we have listed below a few short informative paragraphs on the most popular destinations on this ever famous sunshine coast of Spain. Have a read through them and hopefully it will give you an added insight in where you may consider the purchase of your dream bar or business. 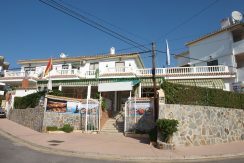 For any of our clients interested in the purchase of a property in Spain you can now search our sister site at www.newhomeinthesun.com, with over 20,000 properties to choose from we are confident we will have your dream home also. Torremolinos was the original coastal village where the Spanish tourist boom all began, what was once a tiny fishing village has now become one of the largest and most popular tourist destinations on the Costa del Sol. With such a large and varied choice of hotels, bars, discos and long golden beaches, good old ‘Torrie’ is quite simply hard to beat. Visitors to Torremolinos can and do enjoy every type of entertainment one would expect from a long established tourist resort. 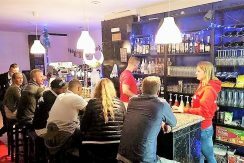 There are bars in abundance proclaiming their heritage to one nationality or another; Irish, English, Dutch, German you name it Torremolinos is likely to have it. 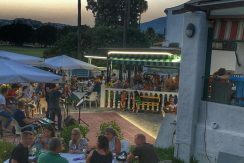 The busy nightclubs, music bars and cabaret clubs offer a good range of different entertainment, make no mistake Torremolinos may be the oldest resort but it still offers a little bit of something for everyone no matter what age group. At first sight Mijas is the Andaluz pueblo blanco par excellence – its ancient white-washed houses clinging to the hillside surrounded by some of the best coastal views in Spain. In fact its beauty- and easy access from the coast- has made it a ‘mini resort’ in its own right with some 90% of the population now of foreign origin. Keep looking and you may just catch a glimpse of a hand glider wafting over the peak. Mijas is also well positioned for some of the area’s championship golf courses-including Los Lagos and Los Olivos- and the panoramic views really are superb! The coastal region is where most of the facilities for sun and sand tourism are concentrated: hotels, a casino, golf courses. Benalmadena has 9km of shoreline with beautiful beaches and tiny coves. The new Puerto Marina is the place to go for young “party goers”. Popular with locals and tourists alike the place has a distinctly international feel to it. The area is crammed with a variety of nightclubs and bars playing the latest music and staying open until sunrise. The marina is surrounded by apartments and offers sports such as diving and sailing. Just to the west of Malaga and Torremolinos. Arroyo de la Miel, which translated means “river of honey” is a popular pueblo located between the mountains and the coast and adjacent to the holiday resort and coastal town of Benalmadena. Arroyo de la Miel has a large population of local and multi national residents that live and work in the area which is further boosted by the ever present tourist sector, Arroyo offers a wide range of attractions including a sports complex, bilingual library and the world famous theme park Tivoli World. It is also where one can catch a cable car to the top of the mountain peaks which has breath taking views of the coastline. 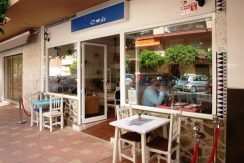 Arroyo offers a wide selection of café bars, restaurants, supermarkets, banks and a health clinic. Arroyo de la Miel is only 15 minutes by train from Malaga International Airport or a 10 minute journey by taxi. The holiday resort and coastal town of Fuengirola has come a long way from its days as a simple Spanish fishing village. Todays modern Fuengirola truly is a multi national mix of local Spanish and international residents that have made their permanent home in the various urbanizations and housing complexes on the outskirts of town. With being ideally located mid way between the capital city of Malaga and the famous town of Marbella, Fuengirola enjoys not just a busy summer tourist season but also benefits from an above average winter tourist season. Fuengirola’s amazing beach is overlooked by one of the longest promenades in the Mediterranean and takes just a little over 2hrs to walk from one end to the other. 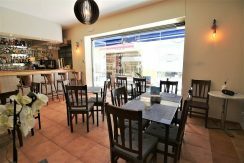 Fuengirola is a great place to live and own a business. For more detailed information please visit our Spanish Information section. The team at Bar in the Sun have added a new section on our website with answers to some of the most popular questions that we are frequently asked.